Arrow: Easter Eggs and DC Comics References In "Taken"
Man, that episode of Arrow was harrowing, epic, and exhausting. Let's get right into this whole Easter egg thing, shall we? Okay, so this one's pretty on-the-nose. The title of the episode is the same as the title of a Liam Neeson movie in which his child is kidnapped and he goes on a roaring rampage of revenge to save her. 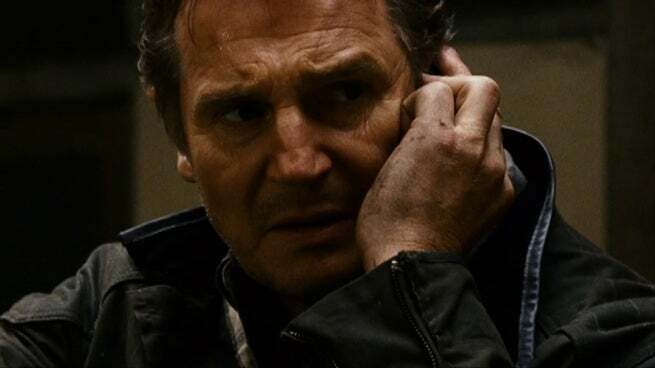 Of course, you might remember that Liam Neeson played Ra's al Ghul in Batman Begins. Take from that what you will...! It may have been mentioned before that Curtis Holt was an Olympic-level athlete, but we're going to mention it again anyway. Curtis, of course, is a riff on Michael Holt, a character from the comics known as Mr. Terrific. Last week, he got called "Terrific" after presenting Oliver and Felicity with the chip that would allow Felicity to walk again, and I missed that completely. All that said, yes, Michael Holt? Olympics. Fair Play jacket (which we've seen Curtis wear). T-Spheres (which we've seen Curtis design). 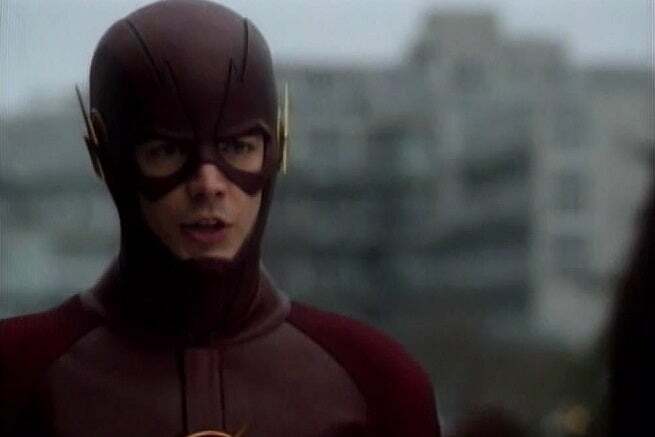 It's worth noting that while this is far from the first appearance of William Clayton, the son of Oliver Queen, this week marks the first time that his character has spent a significant amount of time onscreen since the Arrow/The Flash crossover in which Oliver discovered he had a child. 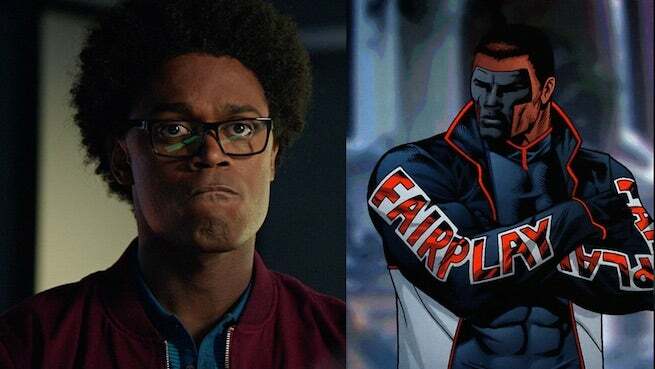 He also showed up 24 hours before Connor Hawke is due to appear on DC's Legends of Tomorrow. 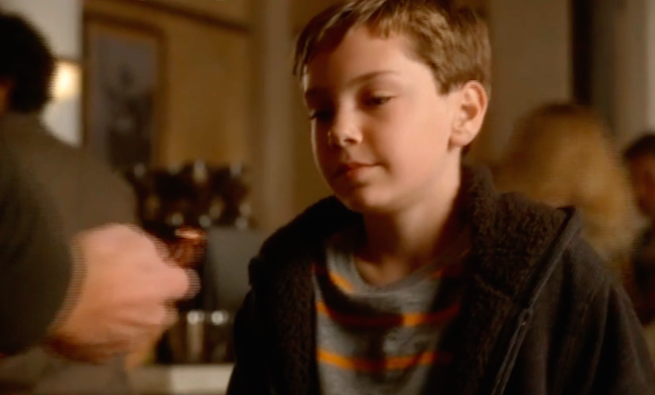 Connor, of course, is Oliver Queen's son in the comics. 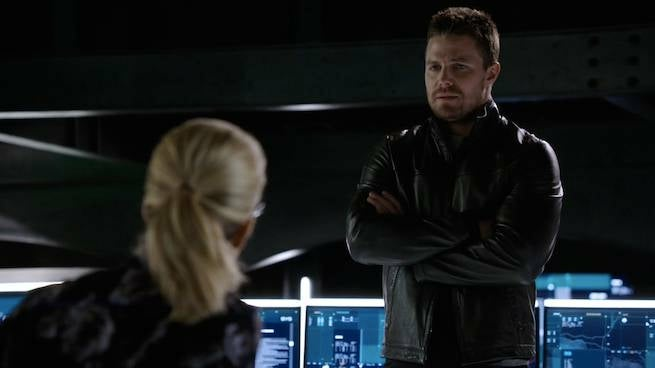 A number of the barbs Felicity delivered at Oliver during their confrontation after she learned about William -- including "Stop; I can't hear another lie" and "you're the only person on the planet that considers the truth complicated" -- are things that Felicity said when she broke up with him on The Flash. So, John's in Hell? That's a pretty good reason why they didn't reach out to him for help with Darhk, although after the warning he gave Oliver, and the way Oliver's completely ignored it, who knows if the surly cuss would have helped anyway? 'Going for It' has the first appearance of Hell in the comic as John deals with an infernal stockbroker. 'Guys and Dolls' features several scenes showing The First of the Fallen's activities in Hell. 'Sins of the Father' revolves around Constantine visiting Hell and meeting his damned father. 'Down in the Ground Where the Dead Men Go' saw Constantine making an epic trek across Hell with Nergal in tow to save his sister's soul. 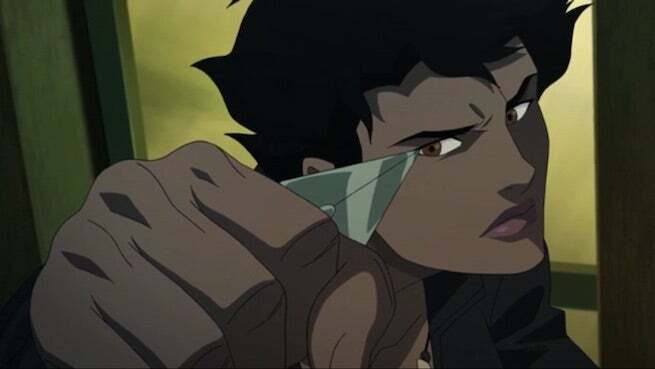 Mari McCabe is Vixen, who has her own animated series on CW Seed set in the world of Arrow. Her friend at the university, her family background and most of the other establishing information we got in tonight's episode can be found there. In the comics, she was a member of the Detroit-era Justice League, along with J'Onn J'Onzz, currently appearing on Supergirl, and Vibe, currently appearing on The Flash. Yes, Oliver. You had an animated encounter with Vixen, when you and Barry appeared on the Vixen animated series last year. ...Actually, I gotta give 'em that one. That was cute. No lie. "I HAD THAT UNDER CONTROL"
People in the Arrowverse make that entrance a lot. 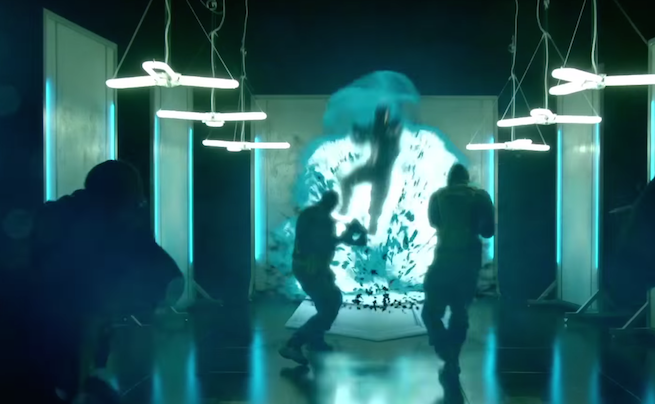 In the pilot for DC's Legends of Tomorrow, Ray Palmer comes to visit Oliver and, after taking out a bad guy who's about to nail Ollie, Green Arrow tells him "I had that under control!" And Ray replied, "I know," just like Oliver does here. "DON'T YOU DARE TELL BARRY ABOUT THIS." I'm just gonna say that Samantha is probably smart enough to put all the pieces together and figure out Barry's secret identity. Because apparently nobody, from Vibe to Vixen, cares even at all about not saying his name in front of civilians. 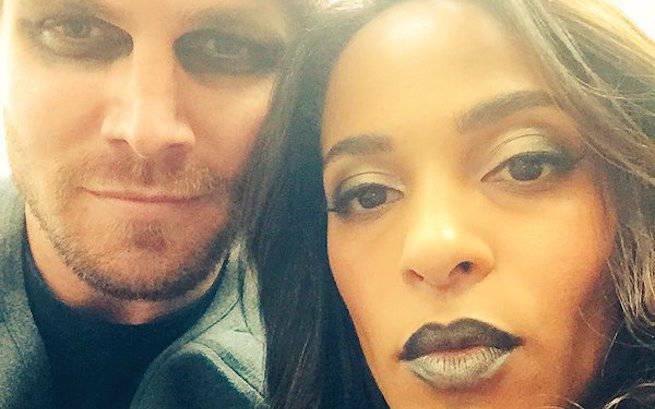 Also, yes, she knows Barry. He, too, appeared on her animated series. Also also, yes, they made a reference to Barry as the CSI in Central City. Spotted the Channel 52 news microphone again. Named for the New 52 publishing initiative from five years or so ago, News 52 is not only the network where The Flash and Arrow have their 24-hour news delivered from, but it's also the name of a now-defunct page in the back of DC Comics that gives news from around the DC Universe to catch casual fans up on what's going on in books other than the one in their hands. 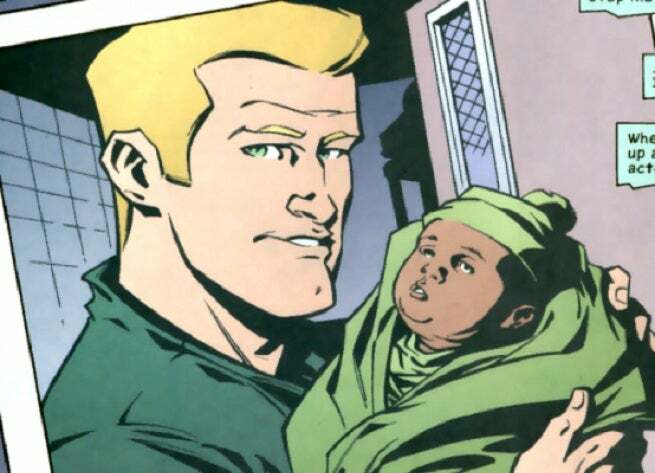 In the comics, there definitely is more than one illegitimate Oliver Queen child. And one of them is an on-again, off-again bad guy. So...yeah. Army of little Olivers isn't so far off. 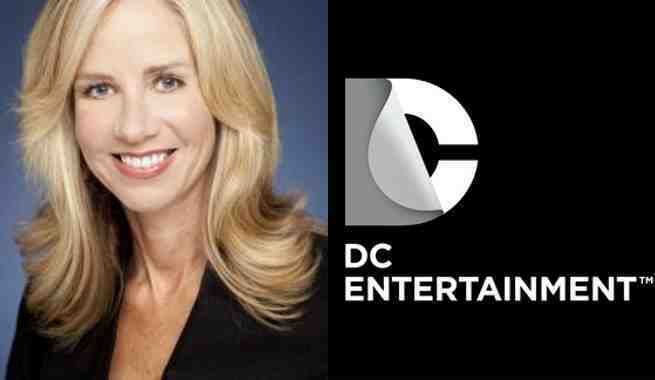 Nelson Plaza, where Darhk wanted to set up the meet to swap William for...whatever...is clearly named for DC Entertainment head honcho Diane Nelson. This isn't the first time a plaza or industrial park has been used in such a way. The building where Vandal Savage wanted to take custody of the Hawks in the Arrow/The Flash crossover was Jurgens Industrial, named for longtime Green Arrow artist Dan Jurgens.